Happy Wednesday! Today still feels like Monday and I'm pretty sure this entire week will. 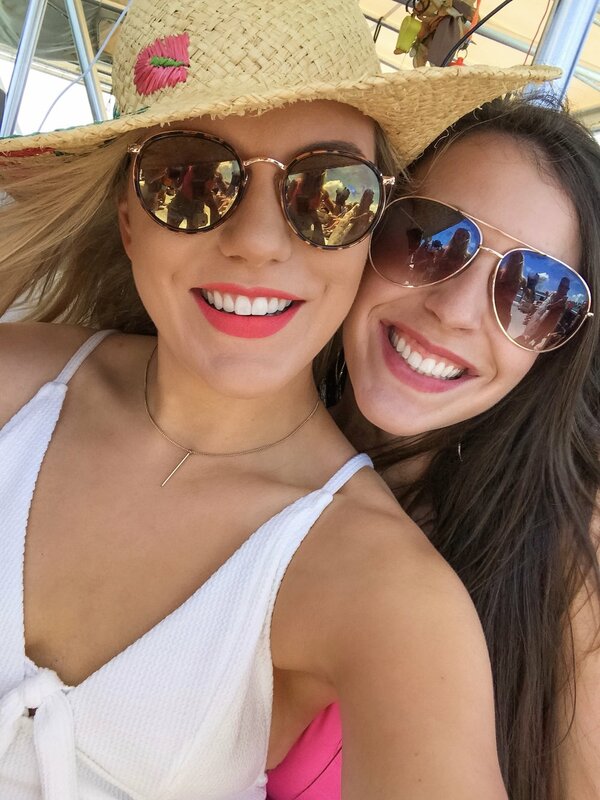 I'm recovering from my bachelorette weekend in Miami Beach & I can't wait to share all about it with you guys! There's going to be two posts - Part 1 (Thurs/Fri) & Part 2 (Sat/Sun). When I started thinking about my bachelorette weekend, I really only had 1 place in mind - South Beach. Miami is one of my favorite places & when I go, I love staying in South Beach. It's so full of action, excitement, and the most beautiful restaurants and beaches. 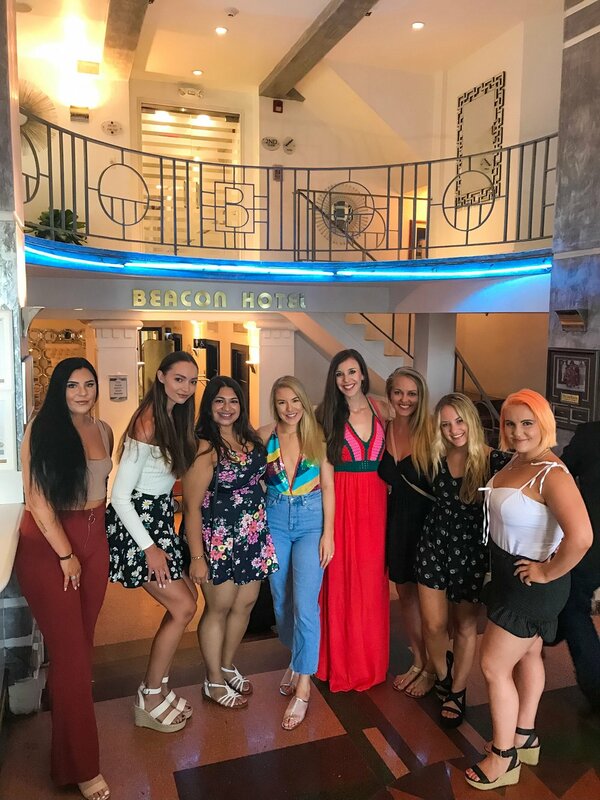 We stayed at the Beacon South Beach Hotel, a super cute boutique hotel on Ocean Drive in the heart of South Beach. It was great - the staff provided excellent customer service, the rooms were cute and nice, and a breakfast at their restaurant was included. We had a total of 8 girls, including myself, and 5 of us arrived Thursday & the other 3 on Friday morning. On Thursday night when I got in, we went to dinner at Larios on the Beach, a well-known Cuban restaurant a couple blocks from the hotel. It was DELICIOUS! I would highly recommend making a reservation there if you're in the area! 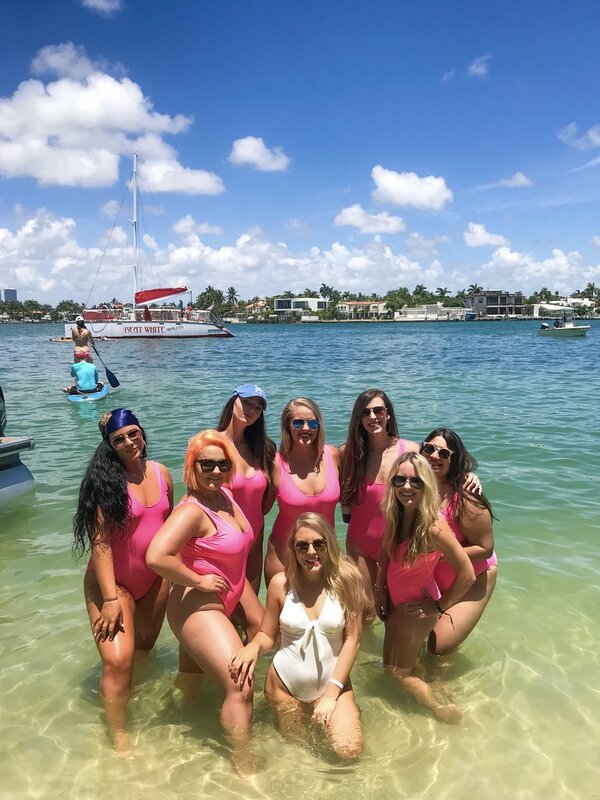 Friday morning, the other girls flew in, and we all headed to Sea Isle Marina in Downtown Miami to board a party boat! The boat had about 35 people on it and anchored on an island in Biscayne Bay for the day. They provided water floats, paddle boards, wine, beer, and snacks. 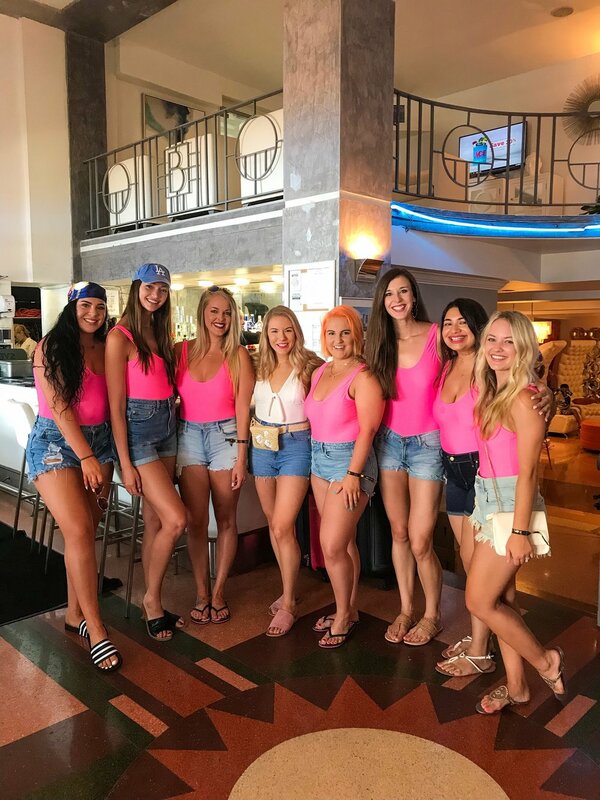 The girls wore their pink swimsuits (linked below, from Boohoo) and I wore a white swimsuit (also linked below, from Revolve). It was a really fun day! 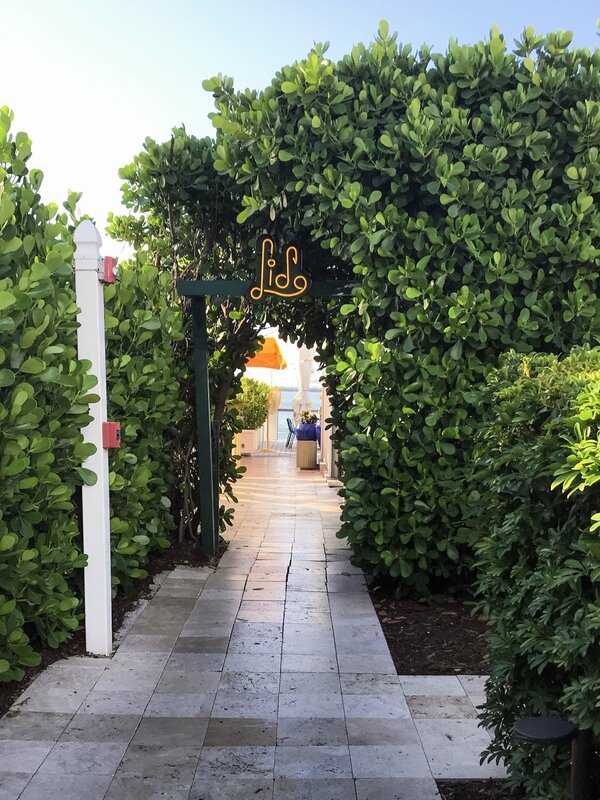 After the boat on Friday, we showered & headed to dinner at The Lido Bayside Grill, at the Standard Hotel. It's a beautiful hotel and restaurant. We grabbed a few drinks at Happy Hour and then sat at a covered outdoor table for dinner. It rained briefly, but the sunset was so pretty over the bay.